The waltz, with its distinctive 3/4 rhythm, was one of the older 19th century dances still performed by orchestras in the early 20th century. During the developmental years of New Orleans jazz, bands and orchestras had a large and varied repertoire, which included dances that appealed to the older generations from the Victorian period. Popular waltzes such as “Let Me Call You Sweetheart” and “Sobre La Olas (Over the Waves)” eventually became New Orleans jazz standards played in 4/4 time to appeal to younger audiences’ preference for the Foxtrot. 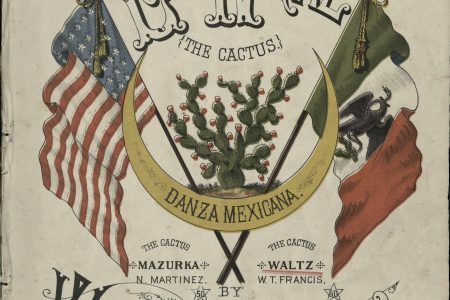 While the young jazz generation of the 1910s and 1920s saw waltzes as old-fashioned, the waltz was actually considered controversial and offensive to Early Victorian mores when it became popular in the 1800s. Conservative moralists objected to it because the male and female partners never separated and held one another other closely, which was a radical break from the quadrilles of the 18th and early 19th centuries. This video clip was prepared by the Library of US Congress.